The G1: disliked by Sabine Road, unwanted by Eversleigh Road, but loved by everyone. It was a hot night for a public meeting, and a hot public meeting to discuss the Transport for London (TfL) proposals to re-route the G1 bus route. Around 50 people attended and, for 90 minutes or so, had their say on the G1. I was surprised that the turnout exceeded that of the Shaftesbury Let’s Talk meeting earlier this year. Proof, perhaps, of the truth in Tip O’Neill‘s adage that all politics is local. The background and suggestion are fairly simple. Residents on western part Sabine Road have suffered with the “stereo effect of the G1” travelling on the road in both directions, and have lobbied for a change ever since the current route has been in operation. These concerns were raised with TfL who suggested another option would be run the westbound route for the full length of Eversleigh Road. The current situation is that around 120 people have replied to the TfL consultation, and the results are something like 65% against and 35% in favour: unsurprisingly there is an incredibly strong correlation between whether someone is for or against and whether they live on Sabine Road or Eversleigh Road. Looking through the notes I jotted of the meeting I got the sense that the proportions last night were about the same, and again, largely a function of where the resident lived (I had some admiration for the Sabine Road residents who spoke up for a move; it is never easy to speak up in favour of something when a majority of those present have been vocally hostile towards it). Several additional points were raised, including a perception that the buses speeded through estate (although previous council traffic surveys didn’t find evidence of widespread speeding by any vehicle) and that something needed to be done on speed. Unfortunately enforcement of 20mph zones is not national police policy. A few misconceptions were raised. Several seemed to think it was essentially a conspiracy by TfL because the introduction of Boris Bikes would require a new route. In fact, the two issues are separate and even if the bikes did need a new route—which they shouldn’t since they do not take road space, only parking spaces—it is invariably the case that Bernard Ingham’s version of Hanlon’s razor is correct. Another misconception, which might be a matter of opinion, is that the council and TfL were wrong to even investigate this. Personally, whatever the outcome, I think we would have been wrong not to consider the complaints from, and issues faced by, the Sabine Road residents. The consultation is still formally open and will probably be extended until 26 July so there is plenty of time for those who still want to comment. As I have said before, in technical terms I do not think there is much difference between the options, so it really is down to the consultation. 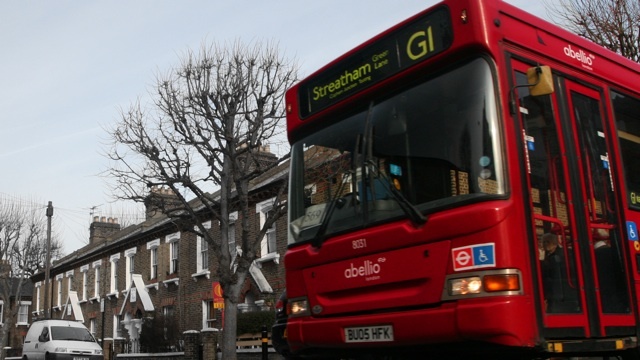 Unfortunately it is one of those topics in which it is not possible to end with a result that pleases everyone, since while there was widespread love for the bus service (any mention of the service’s value and wanting to keep it on the estate triggered applause), no-one really wants it going past their home. If there is an overall positive from this, it’s that the issue has resulted in the formation of the Shaftesbury Residents’ Group, and hopefully the energy they have displayed opposing this will go on to help with other issues and topics affected the Shaftesbury Park Estate. Interesting that you go into so much detail here after remaining mute throughout last night’s meeting. In addition to its support for the G1, the meeting was united in its focus on safety – something you fail to mention above. This is not a matter of nimby-ism but rather concern that the proposed route involves diverting the bus from the doorstep of its regular users and around a blind corner where accidents and near misses are already commonplace. We also made notes last night and the reality is that of the 30 or so questions which were asked, all but those from two people were opposed to the proposal for one reason or another. I look forward to seeing minutes of the meeting if you want to maintain that this was not the case.